Recently I received a voucher for Next and I wanted to purchase a new dress. Every summer I buy one dress that will be my statement piece for the year. I do my research and try to purchase a style I don’t already own, or a variation on a particular trend that will suit my top end of petite figure. I usually go for darker colours but this time I wanted something bold, bright and summer inspired. Searching on the Next website I decided to look for an item that was on trend but not something too occasion wear related. A dress that I could casually throw on in summer days, and not something that was only wearable for an event. 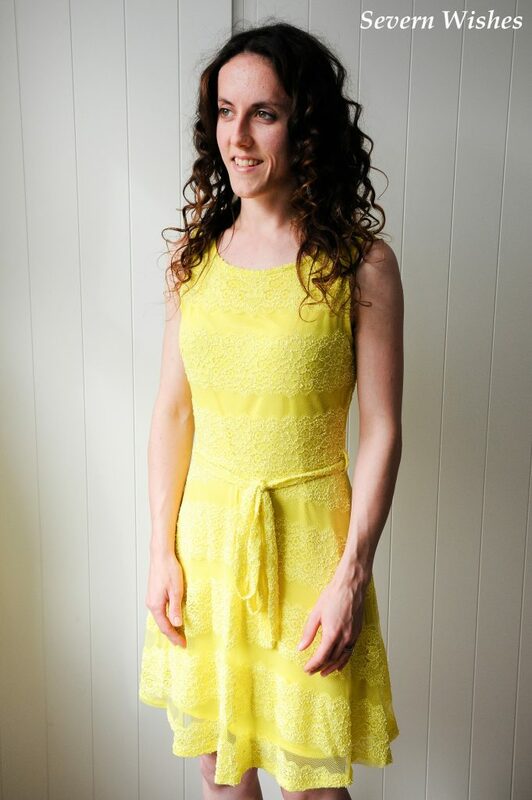 I chose this lace beauty, a bold statement in yellow, with incredible details. This skater dress is very flattering and has features that could easily be dressed up with to encourage its elegance. It already has its own belt, so you can pair it with a gorgeous pair of neutral shades or white shoes and some statement chunky jewellery to contrast the finer features. One of the strongest characteristics of this dress is its flower stitched pattern. Layers of delicate stitching contrasts the bold strips of yellow. 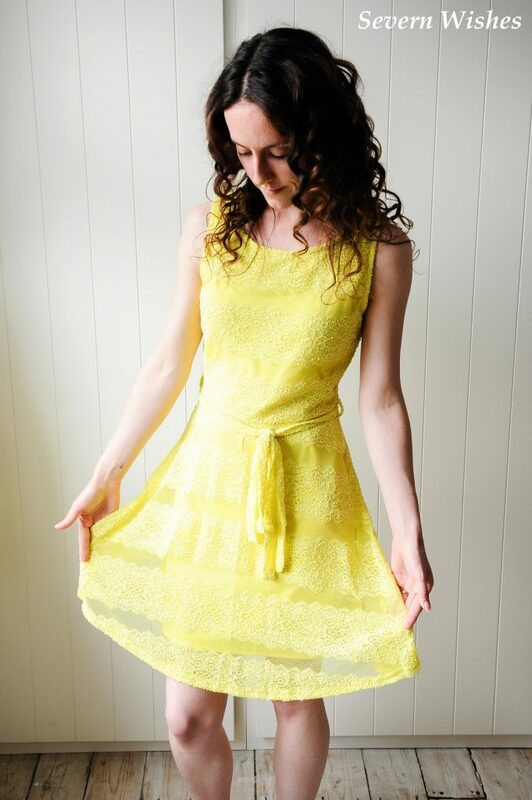 The dress combines a yellow slip underneath which ends just above the knee, this allows for the finer material over the top to allow light through the final strip adding another aspect to its beauty. I love the fit and the neckline, this Mela London dress is both sophisticated and flattering. Sleeveless and perfect for summer, a piece that can be used in a variety of ways to dress up or dress down for a variety of occasions. The one and only issue that I have with it is just how delicate it is. I couldn’t let my cat anywhere near me while wearing this dress in fear of snagging the stitching features. You would need to be careful if you wear long nails and rings as well while touching the fabric so as not to damage any threads. It would also need care while washing, and finally it needs a cool wash. Other than that though it’s such a beautiful piece, worth the price and the care. Thank you for reading this review, if you like my clothing hauls and fashion pieces then please consider subscribing so you don’t miss the next one. This entry was posted in Clothing, Fashion, Fashion & Beauty, Reviews by Sabrina. Bookmark the permalink.